← #ChipLitFest: A Good Time Had By All! A report by planning officers for West Oxfordshire District Council is recommending approval of ALDI’s proposal to build a new store on Banbury Road, next to the Cromwell Park site. The WODC Uplands area planning sub-committee was originally due to discuss the application – which was submitted last November – at its January meeting. However, it was deferred due to concerns about the store’s design and its impact on the town centre. These concerns followed a site visit that members of the committee made to Banbury Road on 2 January. But the planning officer’s report has now stated that these concerns have largely been addressed by amended plans submitted by ALDI, although there are still concerns over pedestrian access to and from the store. As the Cotswold Journal has today reported, the planners are now recommending that the plans are approved, subject to a legal agreement. The full report from the planning officer can be found online here. 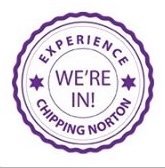 Chippy News previously ran a poll and found that nearly 70% of respondents were in favour of ALDI coming to Chipping Norton. This entry was posted in local services, news and tagged Aldi, planning, supermarket, Uplands, West Oxfordshire District Council, WODC. Bookmark the permalink. 1 Response to Is Chippy close to (finally) getting an ALDI?